Save your data with perfect linux backup software .Download fwbackups linux backup open source software now free . fwbackups is a perfect linux backup software that allows you to backup your documents anytime, anywhere. It is completely free to download and use without any sort of trial or restrictions. In fact, fwbackups is open-source, which means anybody can use, share it and improve it. If you would like to help develop or test fwbackups, see the developer's page. 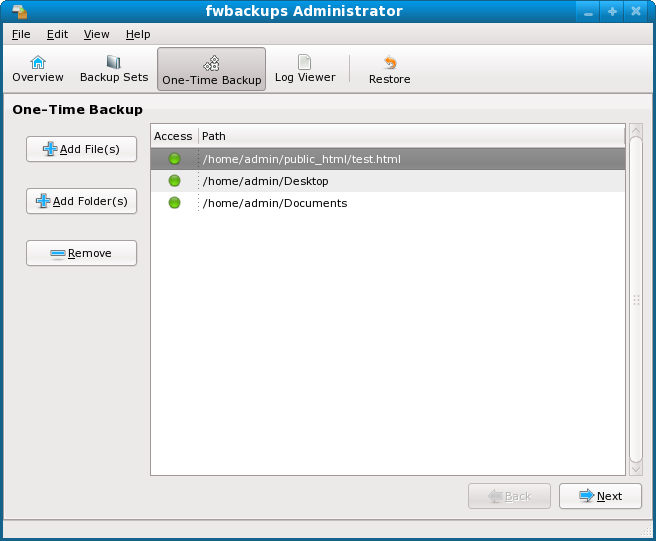 fwbackups offers a simple but powerful interface that permits you to perform backups with ease. With support for scheduled backups and backing up to remote computers, you will never have to worry about losing your data again. Cross-platform: It doesn't matter if you're running Microsoft Windows, Mac OS X or Linux - fwbackups will protect you from data loss. Organized and clean: fwbackups takes care of the organization of backups, including the removal of expired ones . 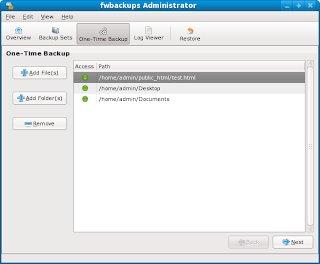 Download Linux backup software "Fwbackups"